Decided to stay on the rye train tonight. I've heard that's super peppery, how do you find it? I just finished this bottle off. I'll definitely need to buy more soon. It's really sherry dominant I'm not sure if I get pepper in it at all, the regular 1776 is what you would expect of 100 proof youngish MGP and it is definitely in the flavor profile. 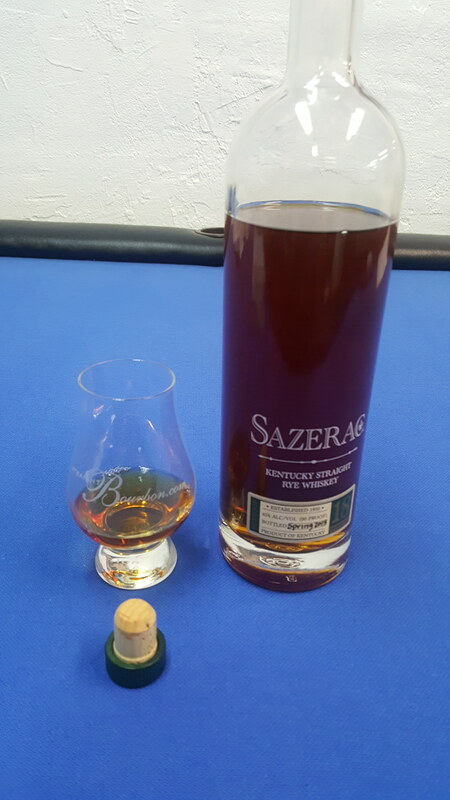 This one has as much if not more in common with Macallan as it does you average MGP Rye. You're completely right! I forgot it was the rye thread. I think I've had too much whiskey today heh. I think it's the regular 1776 I'm thinking of. 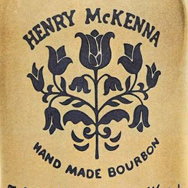 How do you feel about whiskeys that are finished in Sherry casks? I enjoy them. It brings a variety of flavors. 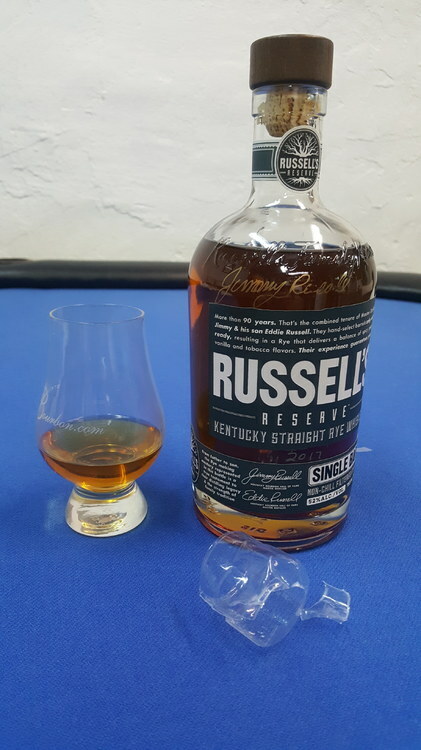 I think my next stuff to try would be done in rum casks. I went on a tear of drinking sherry finished Whisk(e)y right before the holidays as it was really hitting the spot, took a little while off for the most part since but when I'm in the mood I enjoy them quite a bit. A bit of the original Lot 40 tonight. I’m not always on the “it was better when” bandwagon but none of the newer Lot 40 iterations have come close to the original for me. by original is that the 2012? Nope. The one from (I believe) the late 90’s. The 2012 was the first reinvention. I never had Lot 40 prior to the 2012 version. But I can attest to the current and the 2012 version being pretty much identical. And that JEP Sherry Finish is lovely, like sticking your nose in a bag of raisins. 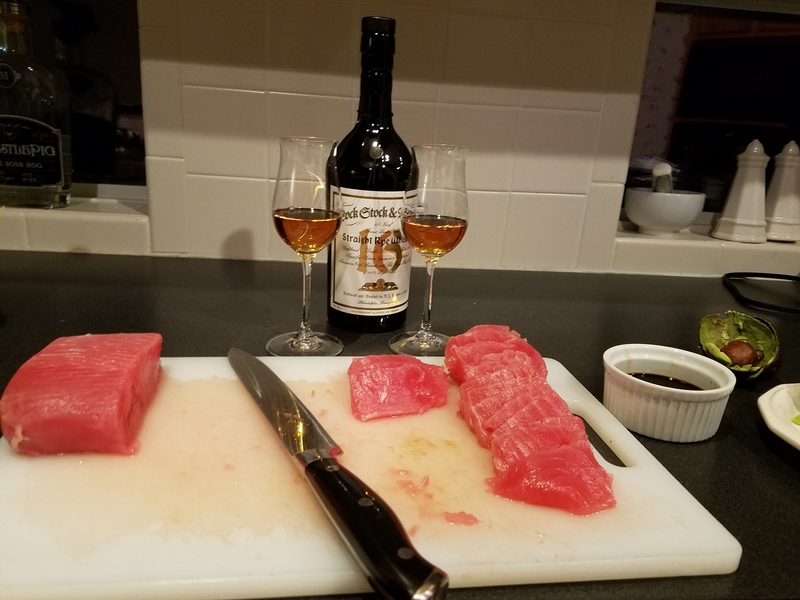 But the old lady and I were doing a little celebrating last night and dug into 2 pounds of tuna, and broke open our second bottle (out of 3) of L,S&B 16yo last night! With the loooong leather finish, it is maybe better than I remember from bottle # 1 last year. I was too young to try the original, sounds like I missed out. I find the current version to be quite good, better than crown royals northern harvest rye. A nice heavy splash of private selection cask strength WhistlePig 10 year. 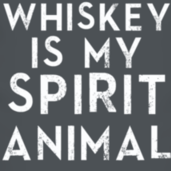 Whistlepig is definitely on my list to get. It's expensive, but I guess I'll just have to treat myself. 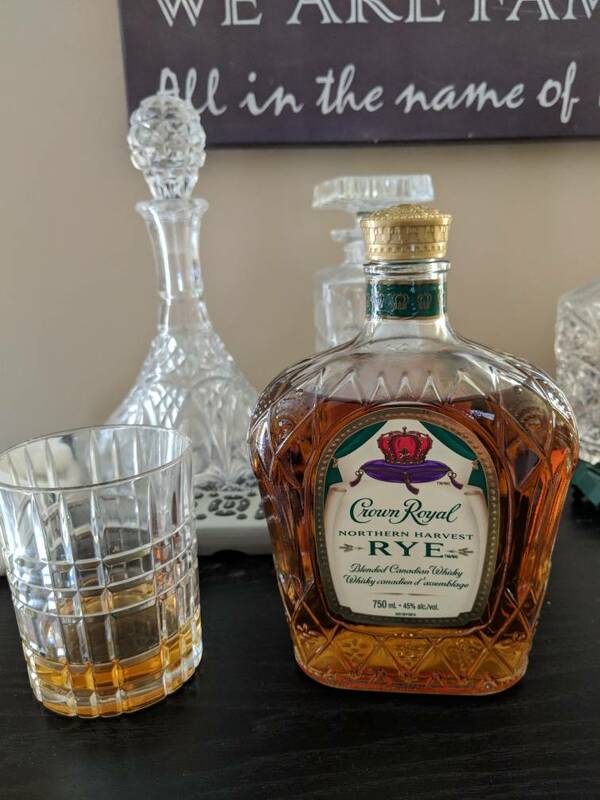 I'm enjoying another Canadian rye from crown royal. I got a bottle of JD Rye out of my bunker. It will be replaced. This 70% rye mash bill hits the spot for me. The flavor element some compare to banana, well similar to something in German wheat beer. 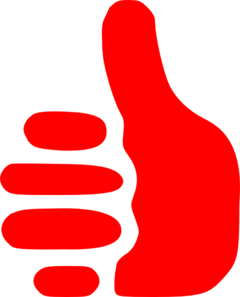 The people that like it, really like it (if that makes any sense). As I get closer and closer to "zen", I've found that I really have developed an appreciation for Wild Turkey products. They are readily available and none of the local whiskey taters care. 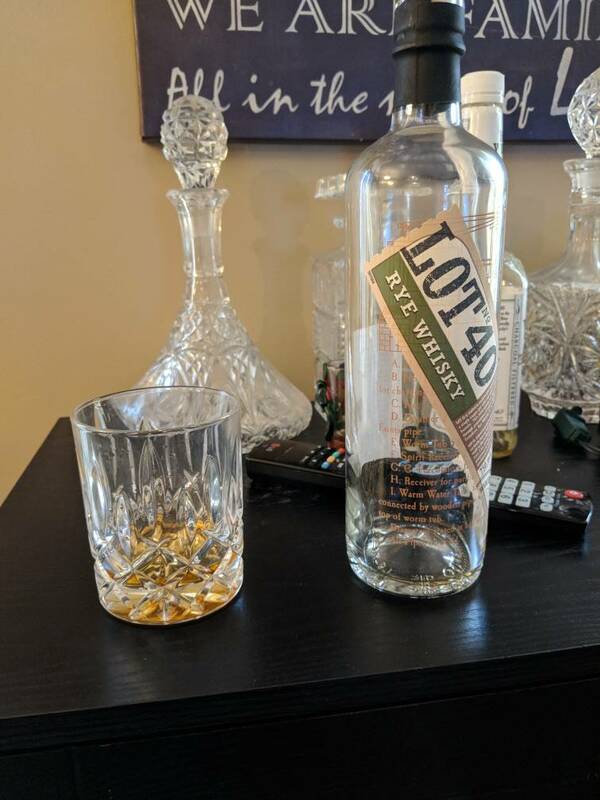 Thanks to the vast knowledge and experience on this forum, 101 Rye has become a regular bottle on my bar. I thoroughly enjoy the stuff. Its light and delicate, yet full of spice and fiery complex personality at the same time. It's beautiful whiskey. It also makes a great cocktail. 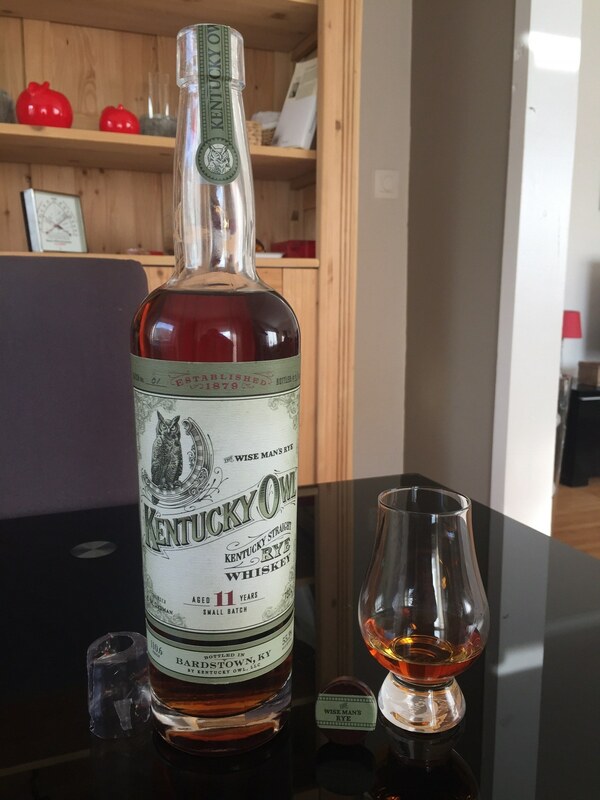 Anyway, once again, tonight, I find myself nose deep in the 101 Rye bottle. I have not seen a WT 101 Rye in the wild since the Austin Nichols label days. I see the 80 proof all over the place. Had the same epiphany a few years back thanks to this forum! I was fortunate to come to that conclusion when a few dusty WTR101 were roaming western Georgia, and snagged a couple - one of which I finished off tonight! Brought this to Bardstown and honestly expected it would get killed off, as I know many are fond of it. But with so many other great selections, a few ounces made the return trip. Started to pour in my typical Glencairn when I realized it wouldn't hold all of it - and decided this was a great time to break out the Spring 2017 Gazebo glass to send the last 3.5 oz of this soldier off to the promised land. More than I'd typically pour on a weeknight, but hey - with a death in the (cabinet) family - felt justified Cheers SB! In Saint Louis, it's on most store shelves in 1L bottles for $35 or less. 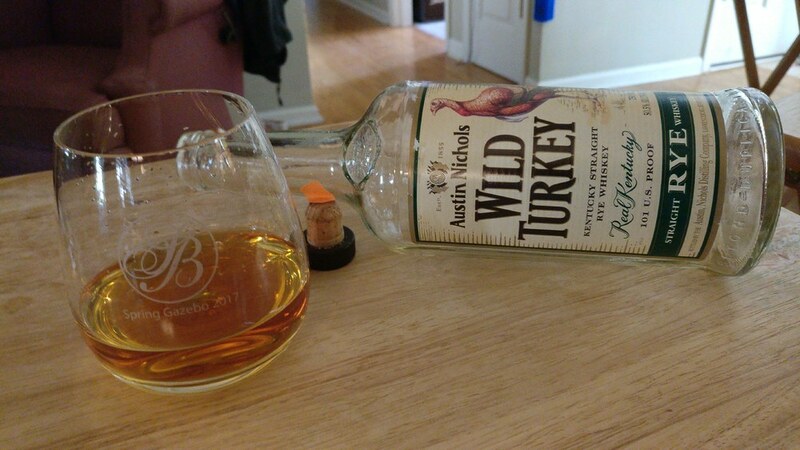 Since my turkey 101 ran dry, I switched to this MGP rye (6 year). Full of pepper and spice. I have a LLS that has WTR 101 for $25. I love the stuff too, but as good as that deal is I buy 750's of Rittenhouse for $28 over the 1L WTR's at $25. The Rittenhouse just does it for me. Found a Michter’s Toasted. Initial taste is odd to me, like nothing I’ve had before. Getting lots of coffee notes. Left a few on the shelf, not sure I’ll be back for those.